Yes, I know. The point has been made before, but not with a bad pun. Jesus died for our goats. 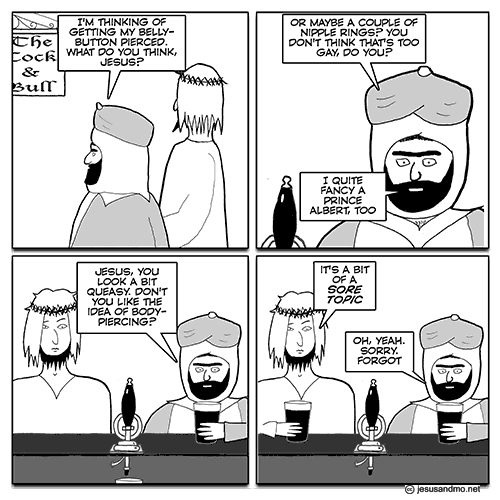 Today’s punchline shamelessly stolen from Daniel LePage (@lepage_d), who uttered the words in this Godless Spellchecker Podcast. I’m a cultural imperialist. I believe in universal human rights. 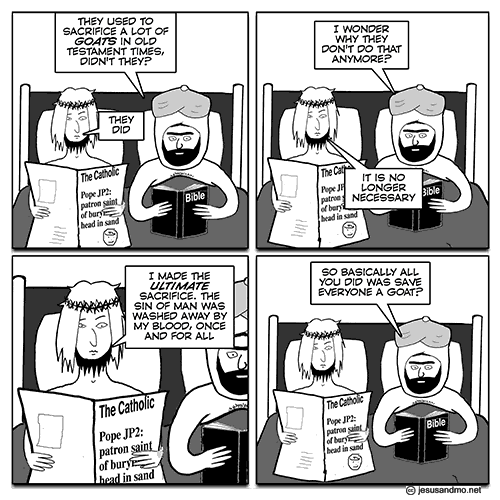 The new Danish collection of Jesus & Mo has been published! 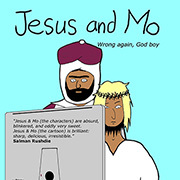 It’s a got a foreword by Kenan Malik, and Jesus and Mo speak Danish in it. It would make a great present for your Danish friends, or for yourself if you’re Danish.